The Stetro pencil grip is a good starter grip for teaching pencil grip. It is inexpensive, has clearly demarcated depressions for the fingers and the positioning for the thumb is clearly cued by the star. They are always my fist choice with the younger child and I only move on to another grip if they don’t achieve the results I am looking for. The grip is placed on the pencil with the arrow pointing towards the tip of the pencil. 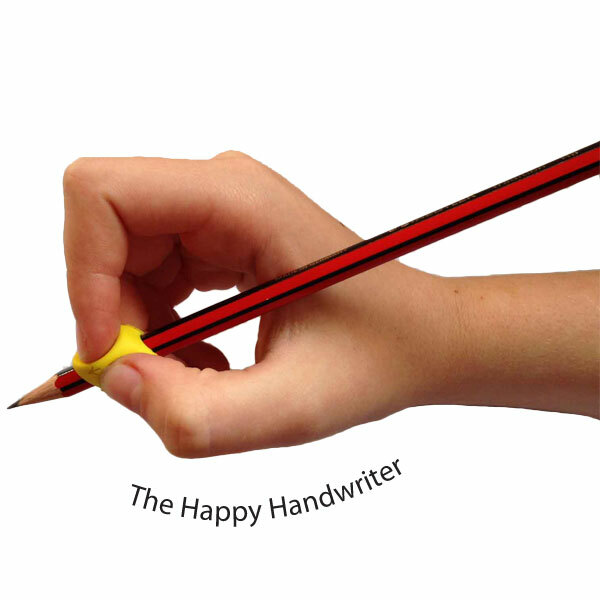 Right handers place their thumb on the star, while lefties place the index finger on the star. 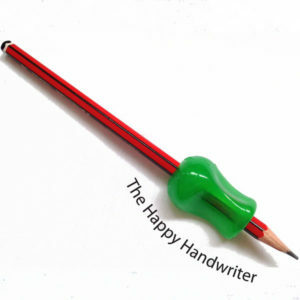 Some people seem to think that the grip should be placed upside down on the pencil for lefties but this is not so. 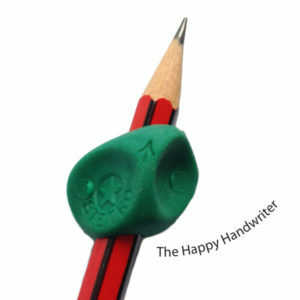 While the grips are designed for standard sized pencils, with some encouragement, they can fit comfortably onto the twisty crayons. You will need to push really hard to get them on but the results are well worth the effort. If you are using grips with a younger child do put one grip on every colour – we want our children to assume the correct grasp each and every time they pick up the pencil or twisyy crayon and having one on each colour helps with this. Want more than one Stetro pencil grip? Take a look at the pack of 6 Stetro grips.